Texting and dating just don’t mix. More often than not, the short and ambiguous nature of texts leads to massive misunderstandings (like the debacle with Demetrios I recently blogged about). However, men today simply love texting. Probably because it’s incredibly lazy. Long gone are the days when a man would methodically plan out what to say, nervously dial your number, and anxiously wait for your answer to “Would you like to go to dinner this weekend?” Instead, today he will just jot a quick text (“Dinner tmrw?”) and hit send. If you are anything like my friends, you probably can’t even remember the last time a man called you. It’s all text, all the time, and it’s incredibly frustrating for us girls. I recently read a book called Text. Love. Power. The Ultimate Girls Relationship Guide for Texting and Dating in the New Millennium, which offered a militant solution to the texting-and-dating problem. Don’t text with men at all. The book suggested you should go so far as to call your carrier and actually disable texting on your phone so no one can text you. Or, if that’s not feasible (obviously, it’s not! ), then you should buy a second cell phone—a complete clunker phone, without text capabilities, that you use solely for dating. 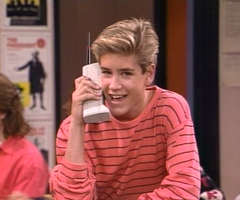 That way, when you’re out with a guy, you can whip out your antiquated Zack Morris phone and he will instantly understand why you can’t text with him. Luckily, I have a realistic third option to offer you: start giving guys your landline number. A landline, you say? Who the hell still has a landline? 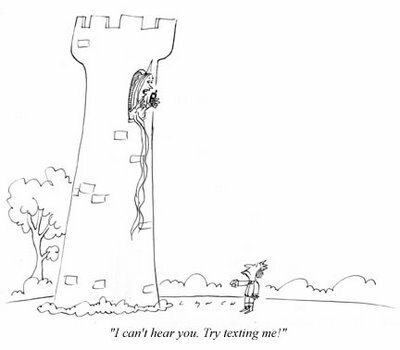 Well, we had to install one at our apartment due to lack of cell reception, but it has proved to be a potent secret weapon when it comes to dating. Actually, it’s not a landline at all, but a Vonage VOIP line that acts like a real phone but only costs $25.99/month for unlimited calls. I’m telling you, this is a small investment to reclaim your dating life. Here’s how it works. A guy recently asked me for my number at a bar, and as an experiment, I gave him the landline number instead of my cellphone. I didn’t mention it was a landline, just gave him the digits and split. Then I totally forgot about it. One evening a few days later, the landline rang. Eureka! I had found the secret to make a man call you. My roommate and I immediately began making use of this new discovery. 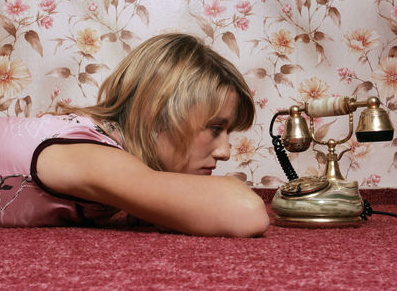 The shock that men express when they realize you gave them a landline number is priceless. Or even better, if you have a roommate like I do, you can answer each other’s calls. Imagine a guy calling Daphne, but Parker picks up instead. A man probably hasn’t encountered this phone situation since 1995, and it will definitely make an impression on him. Obviously, he knows you have a cell phone, but you chose not to give it to him. He has to earn the privilege of being able to contact you 24/7 on your cell. July 6, 2012 at 3:05 pm. Permalink. February 14, 2013 at 7:21 pm. Permalink. If expecting a man I’m dating to actually pick up the phone and call makes me “entitled,” then yes I suppose I am. But I don’t think I’m asking for too much here. February 15, 2013 at 10:14 am. Permalink. February 9, 2016 at 9:44 am. Permalink.